Pakistan strikes over blasphemy law Jump to media player A 24-hour strike organised by Sunni Muslim clerics has taken place across Pakistan to protest against possible changes to blasphemy laws. Taliban given new start for new year Jump to media player Dozens of former Taliban are being released from detention in Pakistan to spend the new year with their families. 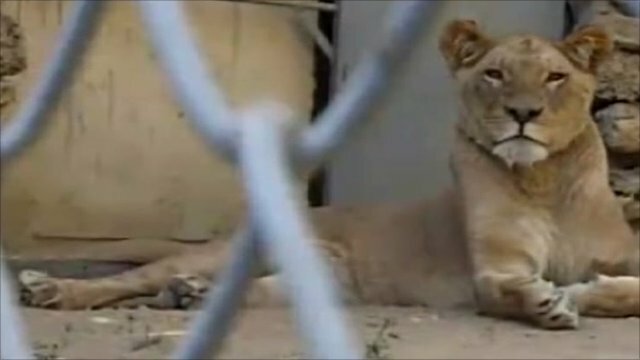 Lions impounded in Karachi Jump to media player A man in the Pakistani city of Karachi is battling to have four lions he imported from South Africa released from a city zoo where they have been impounded. Pictures show some of the lions at Karachi Zoo. Despair after Pakistan floods Jump to media player Aid agencies are warning that the crisis caused by extensive flooding in Pakistan three months ago is entering a new and critical phase. A 24-hour strike organised by Sunni Muslim clerics has taken place across Pakistan to protest against possible changes to blasphemy laws. 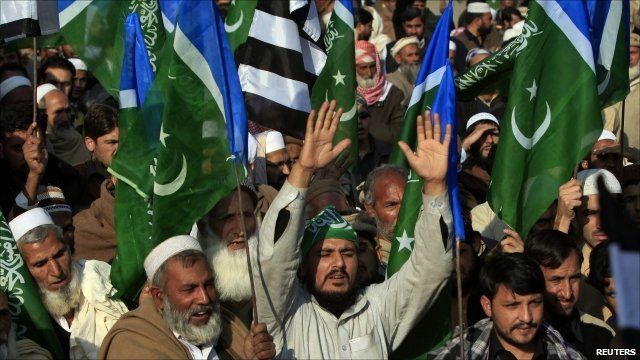 Rallies were staged in Islamabad, Lahore, Karachi, Peshawar and Quetta after Friday prayers. The government has distanced itself from a bill to soften the law, which currently carries a mandatory death sentence for anyone who insults Islam. Human rights groups say the law is often used to persecute religious minorities. Aleem Maqbool reports from Islamabad.